(Bloomberg) -- Zimbabwean President Emmerson Mnangagwa is putting money his government doesn’t have on the line to increase its 350,000 workers’ salaries as the country gears up for next month’s elections. Mnangagwa has pledged that the July 30 elections, the first since Robert Mugabe was forced to step down in November after almost 40 years in power, will be free of the rigging and violence that marred previous votes. His ruling party’s chances of victory should get a lift from his promise to grant 15 pay rises to civil servants, who swallow up 90 percent of the government’s budget, and improve benefits for war veterans who fought white-minority rule. Besides raising questions about the election’s credibility, the spending spree will hamper efforts to rebuild an economy shattered by a failed land reform program, hyperinflation and mass emigration. Mnangagwa, 75, is facing a challenge from Nelson Chamisa, 40, leader of the main opposition Movement for Democratic Change, in the presidential race. The opposition has promised to scrap bond notes, introduced in 2016 as a form of currency, and compensate former white farmers who lost their land if it’s elected to rule. The MDC also said on Thursday its longer-term goal would be to join the rand monetary union and the Southern African Customs Union. Zimbabwe’s wage bill equates to just under 20 percent of gross domestic product. Finance Minister Patrick Chinamasa, who was repeatedly overruled by Mugabe when he sought to curb bonuses and pay hikes aimed at bolstering dwindling government support, appears to be facing the same situation under Mnangagwa. While he cautioned at a conference in Harare last month that the pay increases will make the government’s already shaky finances even worse, his warnings have gone unheeded. “We are already uncompetitive, so higher wages will make exports impossible,” Robertson said by phone from Harare. Even without the latest salary increases, the government has been struggling to pay its workers on time as it contends with chronic cash shortages. Zimbabwe abandoned its own currency in 2009 to end hyperinflation, and has used mainly U.S. dollars. 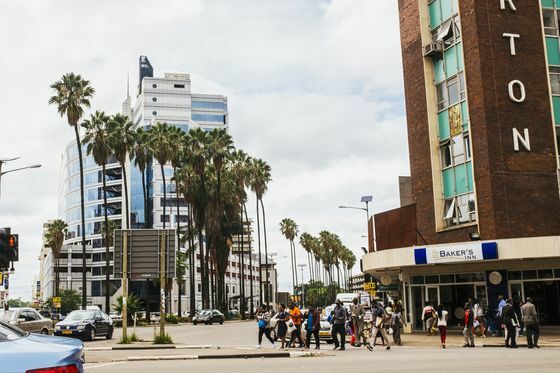 While Zimbabwe has paid $110 million of arrears to the IMF, it’s still saddled with $1.7 billion in arrears owed to the African Development Bank and World Bank that it needs to clear before it can tap new loans from multilateral lenders. Zimbabwe’s total debt is expected to reach $14.5 billion this year, the Finance Ministry said in the budget.